KA-BAR TDI LE Knife Partially Serrated Foliage Green | BUDK.com - Knives & Swords At The Lowest Prices! The TDI knife was designed by John Benner, the founder of the Tactical Design Institute. KA-BAR has partnered with Benner to produce this TDI Law Enforcement Knife. This version offers a black-coated AUS 8A stainless steel blade that is hollow ground and partially serrated. 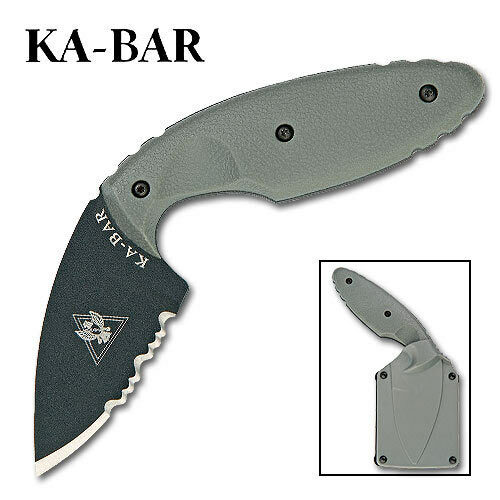 The foliage green colored handle is constructed of textured Zytel to provide an excellent grip. The entire knife is easily concealed in the included sheath.